When we worship, we’re seeking an encounter with God—an encounter with something beyond ourselves. Is it the encounter that joins us together, or is it the seeking? It’s difficult to say. But we do all of this amid the joys and challenges of a community. 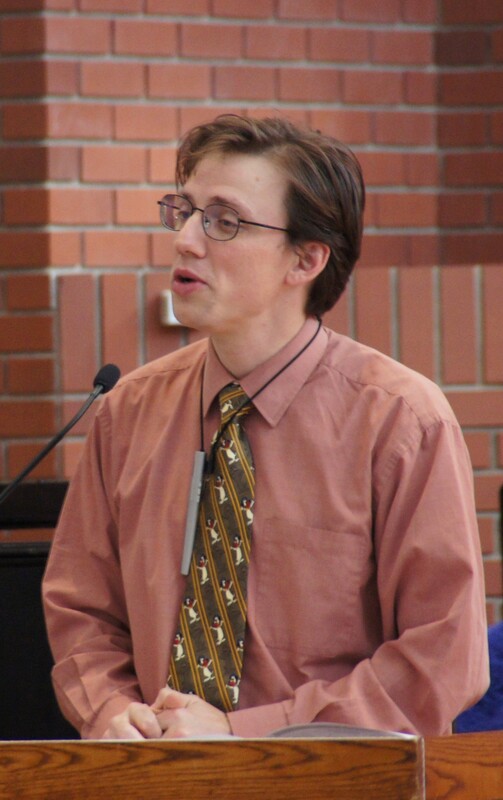 At Young United Church, we use traditional liturgy and music to tie us to the long history of the church. In worshipping together, we seek to become a part of something larger than ourselves: a gathering of followers of Jesus, united in part by two thousand years of worship. Of course, we’re up for trying new things as well. Whether it’s gospel service, dramatic performance, or choral psalms, our ultimate longing is to build a community of faith. A community that’s able to ask questions, offer love to one another and the outside world, and open our hearts to being the Body of Christ. Join us for worship on Sunday mornings. Lunch always follows as a time to continue to get to know one another, catch up with old friends, and share our gifts with the world around us. 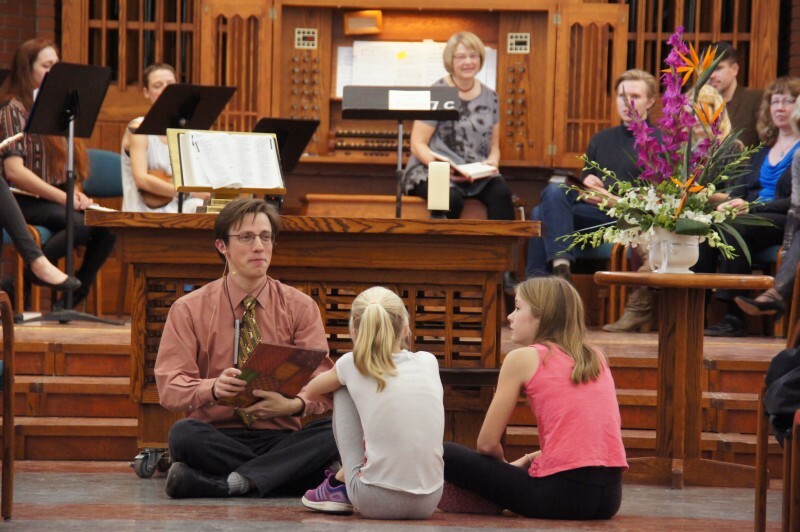 Young United Church values the fine arts and provides a welcoming space for a wide variety of artistic endeavours. Music is part of the heartbeat of our worship and a vital expression of our Christian faith. Music is also a vibrant force beyond Sunday mornings, from fundraising events and seasonal programs to Friday Night Coffee Houses. The 28-voice adult choir offers leadership Sunday mornings from September until June, providing a strong foundation for enthusiastic congregational singing and contributing carefully chosen anthems and solos to every worship service (hear examples here). The choral repertoire is drawn from a vast range of styles and poetic texts, from the earliest Christian church to the present day. The adult choir is open to new members. Thursday evenings 7:30-9:00 in the Sanctuary. The Adult Choir is open to new members. Contact our music director for more information. Contact, Lottie Enns-Braun, music director, at yuc@mymts.net for more information. Our Friday Night Coffee House series. Three concerts, January – April 2017. Advent 2016. A Service of Readings and Music for the season. Young United’s Spring fundraiser, May 2017. The adult choir presented a program of secular choral and solo works. 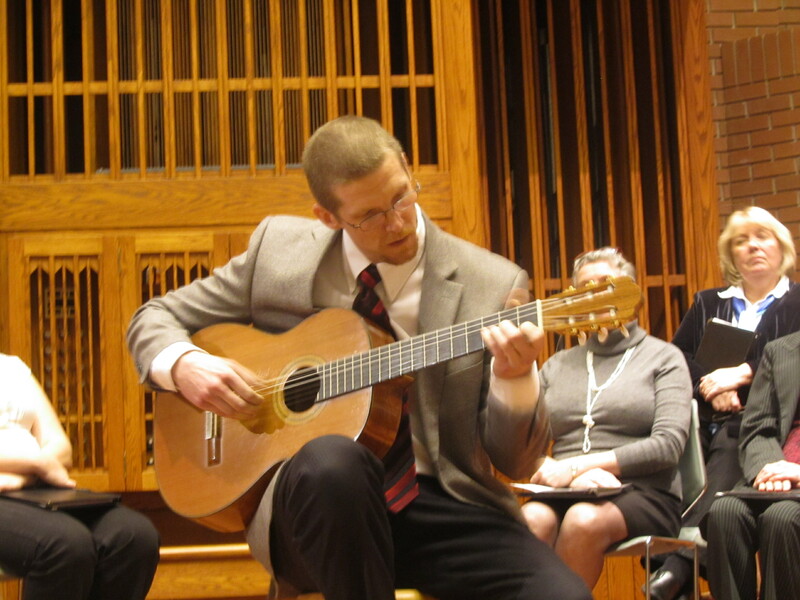 The congregation also has a small orchestra of winds and strings, acoustic guitar players, a bluegrass band, handbells, and a variety of Orff and percussion instruments that contribute to worship from time to time. The church is home to a Steinway grand piano and a two-manual, 29-stop Létourneau pipe organ (click here for organ info). 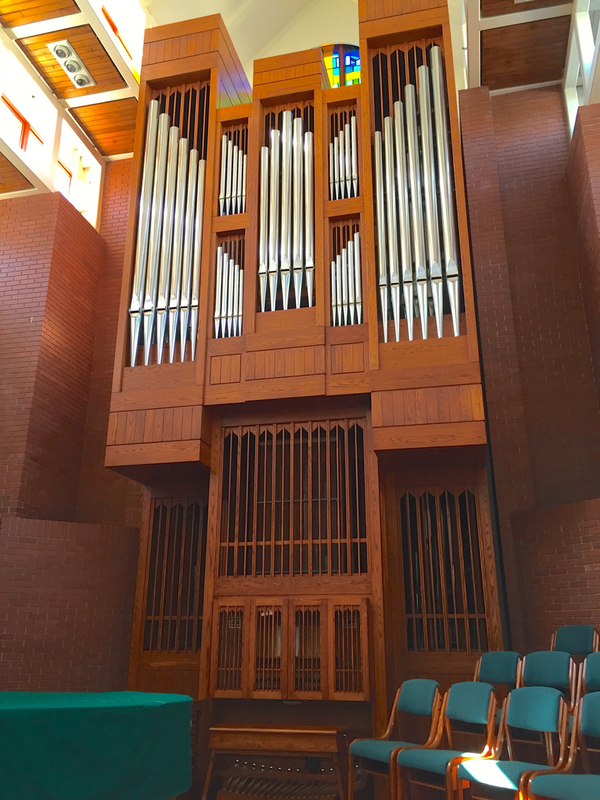 In addition to being used regularly in worship, the organ is in high demand for lessons and rehearsals. Resident and visiting organists alike are delighted by the versatility and reliability of this exquisitely crafted instrument. Community choirs and local groups often choose Young United’s acoustically gratifying space for their concerts and events. 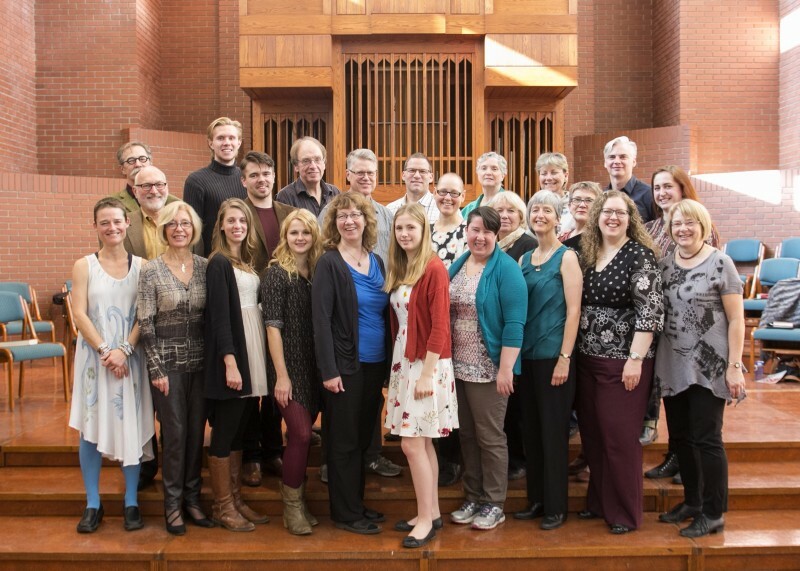 These groups include… Renaissance Voices; The Winnipeg Music Festival; Horizons (a vocal ensemble) and SonoLux (a vocal ensemble). 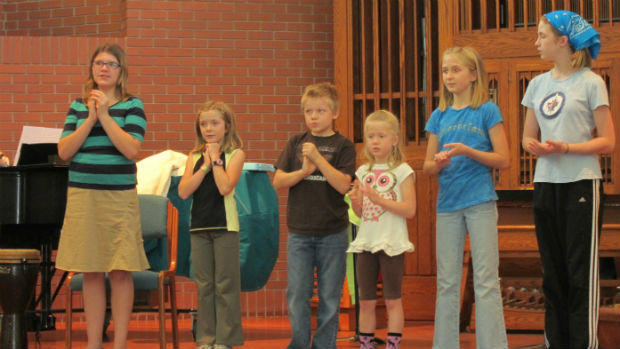 Young United and Hope Mennonite have three Children’s Circle classes: Pre-School (ages 3-5), Early Years (ages 6-8), and Middle Years (ages 9-11). We meet the second, third and fourth Sundays of every month at 10:45am, upstairs in the lounge. After some communal singing time, the children break off to their individual classrooms for a Bible lesson, snack, and activity. Our Orph program will resume in September. A staffed nursery is available during Sunday services.